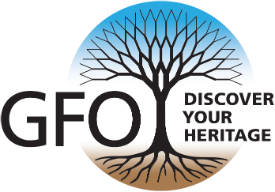 The GFO exists to promote genealogy and to provide genealogical education, to preserve and provide genealogical and historical resources, and to compile and publish within the genealogical community. To help identify and satisfy specific research needs, based on input from Library users, through acquisition or referral. The GFO Research Library is a great place to discover your family’s history whether you are from Oregon or Ohio, Florida or Maine. We have over 50,000 holdings in our library providing resources for all of the United States and many locations around the world. 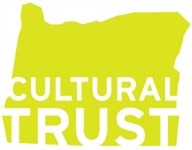 We also provide access to many popular genealogy websites on our library computers. Open seven days a week and located in the Ford Building on the lower level, we have volunteers waiting to help you discover your heritage. GFO is a non-profit organization and has attained I.R.S. Section 501(c)(3) status. As such, all gifts, contributions, and devices are tax deductible to the extent allowed by law. The GFO’s Federal Tax ID is 93-6026015. And every dollar you give goes to support the GFO and its mission since everyone involved in the organization is a volunteer!